When a home or business is experiencing problems with blocked pipes, it may be impossible to locate the source of the issues without a residential and commercial video sewer inspection. Using camera tools can save an owner time and money, especially when a licensed plumber is on the job. What does a Video Camera Inspection Involve? During this type of inspection, a digital camera is attached to a rod that is inserted in pipes to get a clear view at a space that is normally inaccessible. The camera is linked to a screen so that a plumber has a way to visualize the problem and record the details. This makes solving the matter much easier. Need Help with Video Sewer Inspection? Click the Button below to leave your information. We’ll Call you back by the end of the day! Ready to Schedule Your Plumbing Service? *During normal business hours. After hours requests will be returned the following day. There are many benefits that come from using a sewer camera to inspect plumbing problems. Quick Discovery. Without a camera, a plumber must make an estimated guess as to where a blockage may be located. However, when it is possible to investigate with a camera, it is extremely easy to find the source of the issue. This saves time and increases productivity. Saves Money. A sewer camera allows a plumber to uncover the exact issue so that it can be permanently fixed correctly the first time. Knowing the specific problem allows a professional to determine the smartest way to tackle the issue in the most efficient way possible. Also, it helps a plumber verify the blockage has been removed following service. This prevents a home or business owner from paying for multiple repairs or fixes that have not been successfully completed in the beginning. Preventative Measures. When a person purchases an older home or office building, it is important to check the plumbing conditions of pipes and sewer systems. A camera inspection will identify problem areas before clogs or other damages occur. 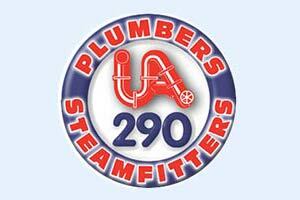 D & F Plumbing is a family owned company that has served the Portland, OR and surrounding areas for nearly 90 years. Our team of journeyman plumbers are experts and have the skills and equipment to perform residential and commercial video camera inspection so that problems are detected fast. This will help solve issues like leaking pipes, overflowing toilets, and other sewer dilemmas. Locating the exact causes of problems early saves clients numerous headaches. For superior service, home and business owners can schedule an appointment by calling D & F Plumbing today. Call us today to schedule your plumbing service, or fill out the form below and we'll call you back by the end of the day.